If you’re a contractor or business owner in the Lafayette area and you’re looking for heavy equipment or engines near you, then Louisiana Cat’s Lafayette likely has just what you need. We’re located off U.S. Route 90, just outside of Lafayette in Broussard. As a longtime regional supplier of Caterpillar® equipment, engines and power generation solutions, we strive every day to meet the diverse needs of our local businesses and industries, including those in the oil and gas industry, agriculture, mining and utility work, to name a few. With so many of our area’s businesses needing quality Cat® equipment sales, service and rentals, it’s no wonder our Lafayette located dealership is synonymous with the type of customer service that’s made Louisiana Cat a trusted name for well over 85 years. We’re committed to providing every customer with the overall lowest cost along with the highest ROI on each piece of equipment we sell. It’s just another reason why, when you visit Louisiana Cat in Lafayette, you won’t get some pushy sales pitch. Instead, you can count on being listened to and, in return, getting our honest advice regarding your machine needs. Our team works hard just like you do. That’s why we strive every day to meet our customers’ needs with robust products and the highest-quality customer service we can provide. 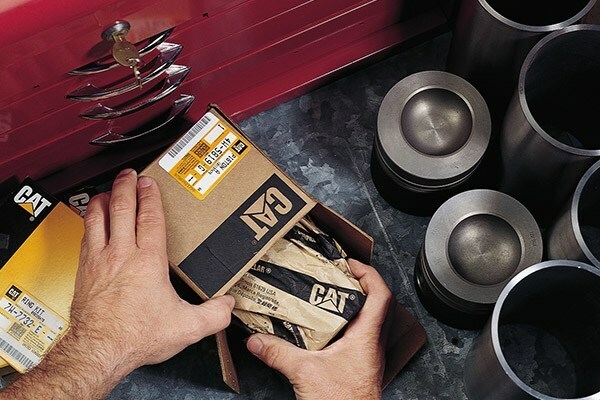 You’ll find our well-stocked Cat product line in use throughout a wide range of industries including general and heavy construction, dredging, forestry, excavating, paving, maintenance, millwork, waste management and in many other functions that require durable machines. Product health: Thanks to our two modern product health centers, you get proactive information on potential issues with your equipment. Highly-trained coordinators make use of repair history, fluid analysis inspections and advanced telematics to monitor the health of your equipment. With this approach, we aim to help you maximize your uptime so you stay up and running. Emergency service: Whenever emergency repairs are a necessity, we’re there for you 24/7. Factory-trained technicians with fully-equipped field service trucks are just a phone call away. Parts and support: Why wait when you need answers or parts? Our customer service staff is consistently up-to-date on all our products and we ship more than 96 percent of parts on the very same day they’re ordered. In addition to equipment, Lafayette Cat is an authorized dealer in the sales, parts and servicing of gas and diesel engines. Our engines are known worldwide for their durability and dependability, as proven by their use in industries ranging from oil and gas to construction and mining. As a trusted member of the Louisiana Cat family, we follow some of the strictest quality control standards in the industry so your engine is both reliable and cost-effective. To support that fact, our quality standards meet those of ISO 9001-2008. Visit us at our Lafayette location near you and see why more jobs get done right with our equipment. Contact us or drop by to meet our team that’s always ready to work hard just like you. If you’re in the Lafayette area and need a short- or long-term rental of construction equipment, Louisiana Cat has what you need. Located in Broussard nearby Lafayette and just off U.S. Route 90, we’re an authorized Cat dealership and part of the Louisiana Rents network. That means we have both the in-house knowledge and large selection of rental equipment to match almost any job requirements you might have. Our factory-trained technical staff works hard to maintain every piece of Caterpillar® equipment we rent. And along with top brands from allied vendors, we can save you both money and time by getting you precisely the right piece of equipment you need with flexible rental terms that meet the length, location and type of job you have to complete. As the scheduling of today’s contracting and construction projects becomes ever more challenging — with tight completion dates and penalties for missing deadlines — you simply can’t afford to work with just any equipment rental company. That’s why we’re such a prudent choice. We’re part of the Louisiana Cat network of dealerships that have been building their reputation for excellent service and outstanding products since 1933. You never have to settle for a piece of equipment you don’t believe will get the job done. With Louisiana Cat – Lafayette, we use our experience to ensure you get precisely what you need with a rental agreement that makes sense for you. We don’t waste your time or money on sales pitches and confusing rental terms with hidden costs. Our straightforward way of doing business is just another reason why hardworking people like yourself enjoy doing business with us. Wide selection: From the right skid steer to the right bulldozer, you get to select the equipment you need from one of the largest and most trusted product lines in the construction industry. Flexible rental terms: With 10 statewide Louisiana Rents locations, you can pick up and drop off your rental equipment when and where is most convenient for you. What’s more, if you need to change the length of your rental, simply contact us and we’ll do everything we can to help. Emergency service: There’s never a good time for a breakdown. That’s why we’re here 24/7 with emergency service. Simply make one call, and a factory-trained technician and fully equipped field truck will be on its way to you. Operator training: From the basics to refresher courses, check out our Operator Training Catalog for training courses, descriptions and instructions on how to enroll. We’re all about helping you get the job done safely and with confidence. At Louisiana Rents in Lafayette, we’re always ready to help. Our inventory, like our staff, is at your service to make your rental experience a true success. Stop by today to see why our rental services have been rated 4.9 out of 5 based on 11 reviews on Google!